Wooly Lamb's Ear (stachys byzantine Helen Von Stein) Old fashioned plant which throughout the years has been a favorite of children as well as adults. 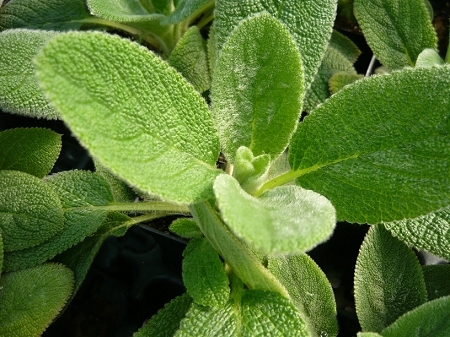 Elongated leaves are silver-green, soft and fuzzy. Beautiful contrast plant in flower beds or for moon gardens. Leaves were reportedly used to bandage soldiers wounds during the civil war. Helen Von Stein cultivar features large leaves. Non blooming. Easy to grow perennial zones 4-9. Live starter plant in 3 inch container.